The 25' Gold Instrument 25RR Cable from Mogami is a high-definition instrument cable, which features a Neutrik 1/4" TS right-angle connector on each end of the cable. Moreover, the 25RR utilizes Mogami's 2524 instrument wire cabling. The 25' Gold Instrument RR Cable is suitable for guitar players who prefer a 90-degree connection on both ends. Furthermore, this high clarity instrument cable uses premium Neutrik 1/4" TS connectors and carbon impregnated PVC to provide an additional shield layer to eliminate any handling noise. 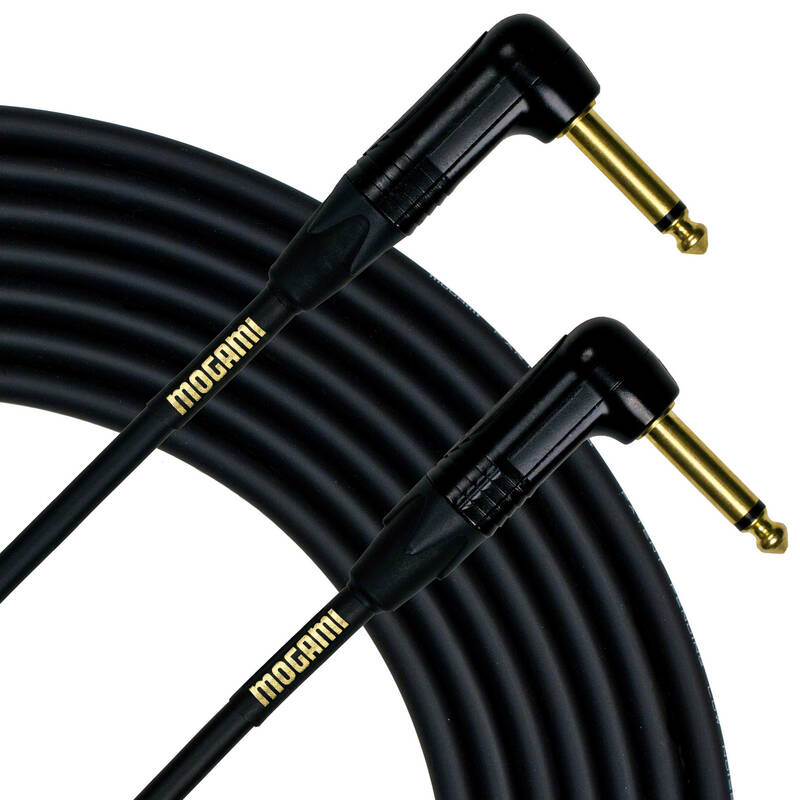 The cable is designed to preserve the unique sonic personality of your electric guitar or bass. Box Dimensions (LxWxH) 8.2 x 5.3 x 0.9"